Fin McMissile: Fin McMissile, British Intelligence. Last year I made the incorrect assumption of thinking Toy Story 3 would be Pixar’s way of easing back into simple comedy territory, after delving into more complex emotional territory with Up and Wall-E. I was wrong, as Toy Story 3 not only turned out to be a powerhouse adventure/comedy, it also managed to pack a lot of dramatic weight as well. This year I believed that Cars 2 was certainly going to be a shift down for Pixar, as the first Cars was underwhelming to me and the announcement of another did not get me very excited. Much to my surprise, I had a large amount of fun while watching Cars 2. Despite scaling back on having a strong emotional backing like previous Pixar films, what this film delivers is a bang up action-adventure film that delivers laughs and excitement, all within a beautifully animated film. 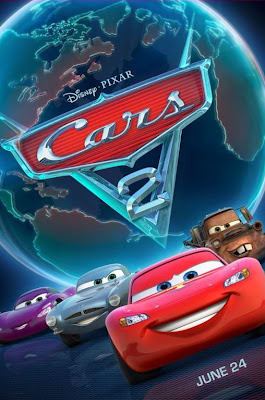 Cars 2 picks up a few years after the events of the first film. Lightening McQueen (voiced by Owen Wilson) has now won the Piston Cup (renamed the Doc Hudson Piston Cup in tribute to the character voiced by Paul Newman in the first film) four times, and is seemingly living the life, having the respect of fellow racers and friends and a cozy home back in Radiator Springs, the town that he saved. McQueen reunites with his best friend Mater (voiced by Larry the Cable Guy) back at home for some R&R, until the announcement of a World Grand Prix draws McQueen and his team back on the tracks to race against some of the best racers in the world, including the cocky Francesco Bernoulli (voiced by John Tuturro). Fortunately, Mater gets invited to come along to the races as well, which will include events in Tokyo, Italy, and London. As all of this is going on, there is a much larger spy plot that becomes the main focus of the film. The beginning of the film actually sets things in motion, as we are introduced to British spycar Fin McMissile (voiced by Michael Caine) discovering a nefarious plot that will be connected to the World Grand Prix. 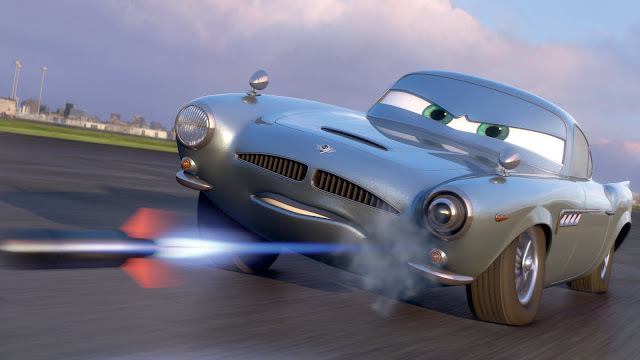 As McMissile and a fellow British agent, Holley Shiftwell (voiced by Emily Mortimer), do their work to stop the villainy being led by Professor Zündapp and his evil crew, Mater inadvertently becomes involved in this side of the story, as he is mistaken as an American spy working deep undercover. 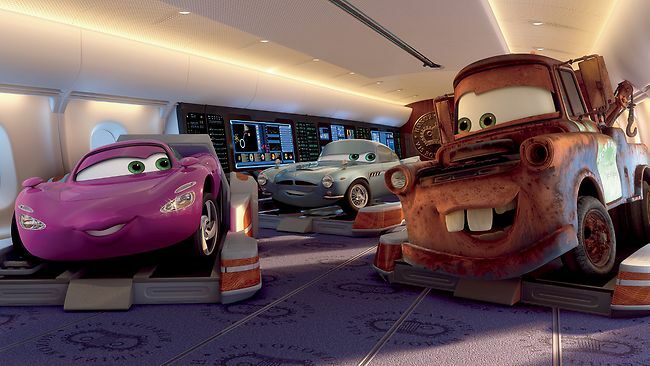 It is no secret that the first Cars is not as beloved by audiences as much as other Pixar films. I did not dislike the film when it first came out, but it is also a film I hardly revisit compared to the rest of Pixar’s filmography. My reasons behind this are simple enough; the story in Cars is way too simple to be stretched out to a nearly two hour film (still Pixar’s longest) and I had issues with getting into a universe that is populated by anthropomorphic cars. 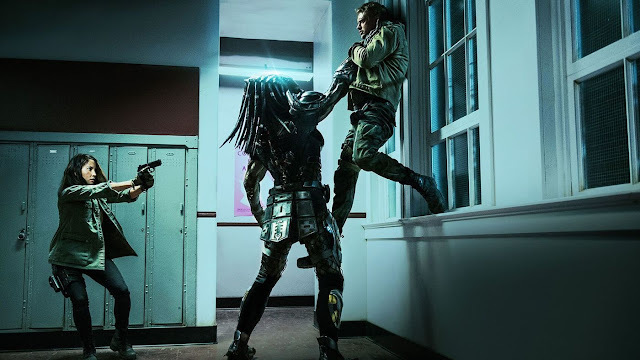 For various reasons, despite still being a lengthy film that exists in the same universe, I managed to have a ton of fun while watching this film. 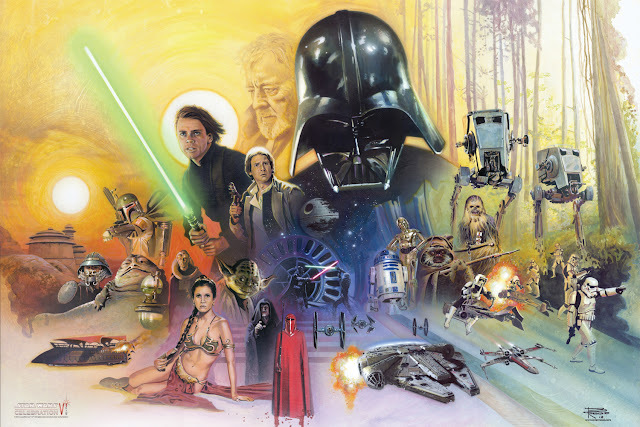 The universe is certainly expanded upon and the fact that this sequel has forgone its simplified plotting in favor of an overly plotted spy-adventure film worked in favor of keeping me entertained. The largest element to point out is the role of Mater in this film. 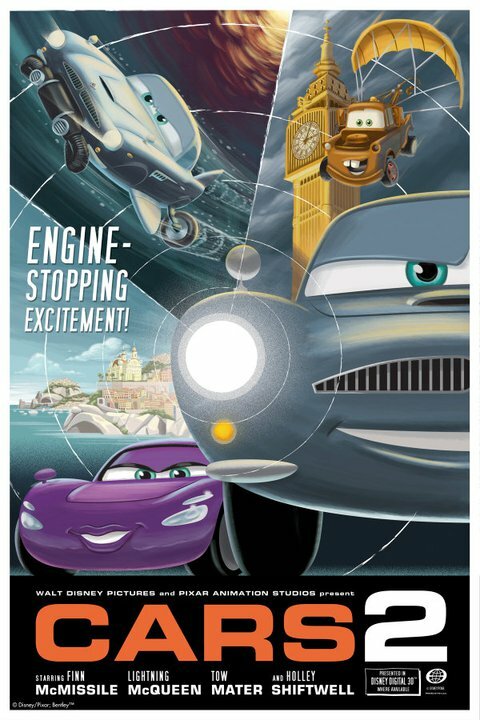 While the first film was clearly a character journey for Lightening McQueen, this film is truly “The Rise of Mater”, as he is takes center stage as the lead character. It is a tricky issue when you make a comic relief character the star of your film, which could easily bombard it with too much of a good thing. Pirates 4 recently had a similar issue, by replacing the true leads of the film with Capt. Jack Sparrow, who (as fun as he can be) is not the character who’s journey you’re following in the previous entries of that series. Somehow, Cars 2 manages to make this work. While I am no real fan of Larry the Cable Guy as a comedic persona, I did find him to actually be entertaining in both Cars and now Cars 2. The Mater character somehow possesses an endearing level of naiveté that enables the film to maintain a heart and achieve laughs. Now, the most positive remark for this film is how great of an action film it is. As I have said, this film forgoes having as much dramatic depth as previous Pixar films in favor of being a straightforward spy caper. 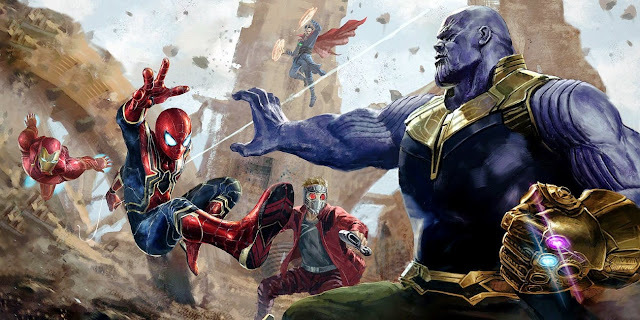 This apparently seems be some sort of crime as far many are concerned, but I am willing to except a film that does not try to match up to being as emotionally impactful as Pixar’s previous and incredibly consistent track record for the sake of an awesome and fast-paced action film. 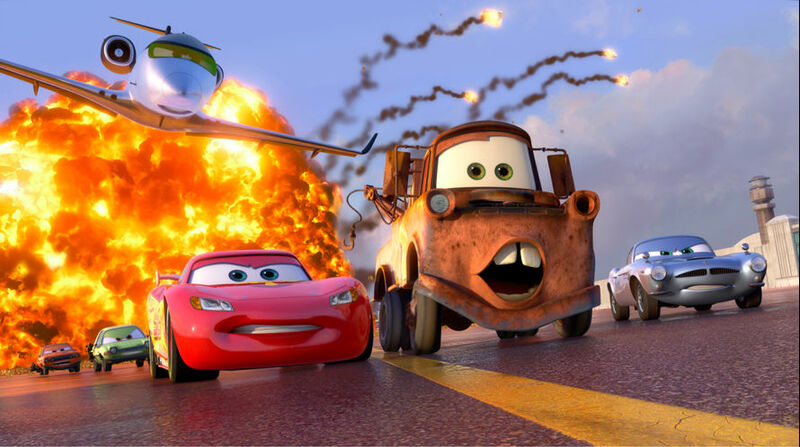 The way this film delivers on having flat out cool action sequences is awesome and equivalent to many of the action scenes of many people’s favorite Pixar film, The Incredibles (with a funny cameo as The Incredibmobiles in this film). Despite easing back on certain aspects of what a Pixar film has been, there is still a level of cleverness that makes this film incredibly entertaining. While the first Cars benefited from having some really well done (and far too few) racing scenes, this film has both races and car chases, which other live-action action films only wish they could match up to. As far as the actual production of this film goes, director John Lasseter, co-director Brad Lewis, and the rest of the team at Pixar have done an amazing job at making this film look fantastic. This is a bright and colorful film that is amazing to look at, with a great level of detail seen throughout. While the first was smaller in scope and fitting for Randy Newman to score, Michael Giacchino has come aboard to add a lively score that does enough to homage James Bond-type films and keep things spirited in general. Finally, as I have found no other place to really do this; I just need to point out how cool it was to have Michael Caine voicing the super spycar Fin McMissile, clearly a play on previous roles of his in the past, with nice Bond nods in the design of his car. I enjoyed Cars 2 way more than I was anticipating. 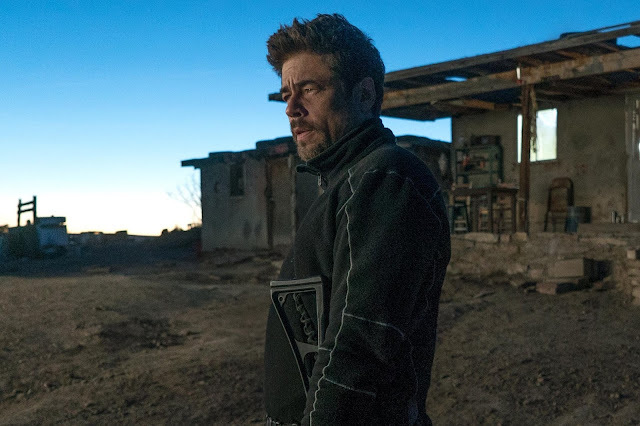 It was more fun than the first Cars, delving deeper into that universe in a way that did not have me very interested the first time around, but actually had me intrigued this time. 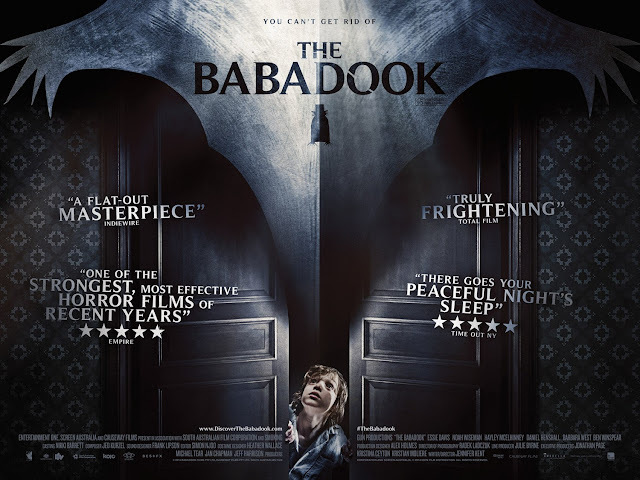 I would still say that the film is overlong and only clever and exciting enough for a great first time viewing, but not so much on a rewatchable level; however, this is ostensibly a film for a younger age that doesn’t do as much to bridge the gap between kids and adults. Still, what this film lacks in touching resonance, it replaces with a level of cool that I really appreciated. And there was a car with a monocle, which makes me laugh. Fin McMissile: These Americans are clearly master spies. Cars 2 looks gorgeous but I am glad that the reviews of the film itself are more positive than I was expecting.